Looking at CLICK as a job management system solution? Our mobile field service software lets you track engineers’ locations, calculate the best person for each job and the best route and sequence for each engineer to tackle their day’s work load. We have launched two bolt on applications for field service systems: Automatic Route Scheduling and an Engineer Locator and Messaging Service. Through the Gabriel FSM Scheduler you can have the ability to view the location of selected jobs on a map, schedule visits based on the most effective route to be taken either by time or mileage and then pass this route to the engineer. 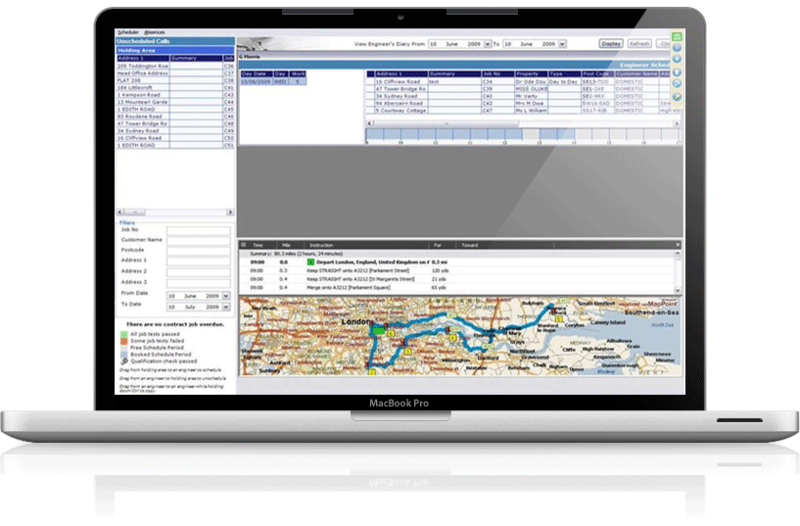 Auto scheduling in this way ensures maximum efficiency of your engineers' time, reduces vehicle and mileage costs whilst enabling you to provide better information to your customers. 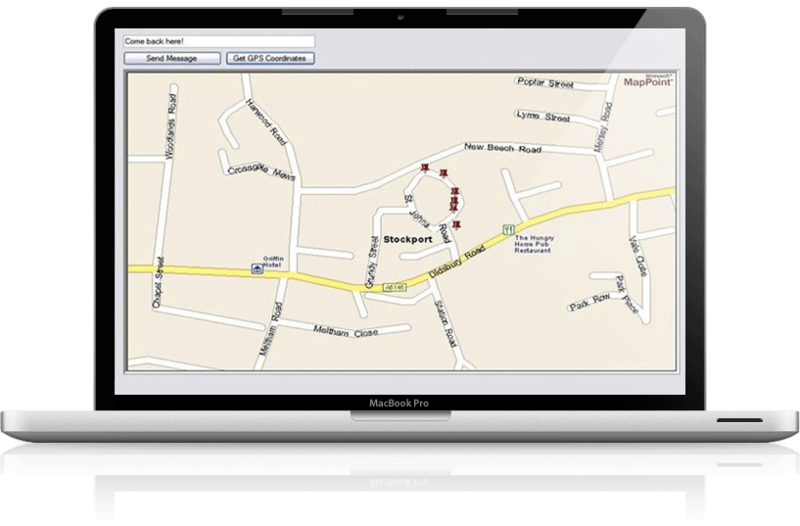 By simply pressing the ‘where am I’ button in the Gabriel FSM Scheduler against an employee, their location is displayed on an map. If they move, a new location is plotted, so you can see their path. 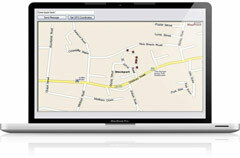 This enables booking staff to see which employee is closest and best equipped to handle a particular job. You also have the ability to send a message to an employee reducing the need/cost of calling or texting. Additionally the software can link GPS co-ordinates to a job and provide reporting on expected mileage vs actual, time at site, etc.